We can hear from their protestations on the campaign platform and in media and we can see from their many social media postings each of the two major parties in Antigua and Barbuda is blaming the other side with regard to the announcement of the election date. But what do the people of Antigua and Barbuda believe? What are your views? Which party’s message is resonating more with the electorate? I have designed a simple 4 question vox pop to help us develop some level on clarity. Please participate. It should take you 15 seconds and it is 100% anonymous. Kindly also share with your Antiguan and Barbudan friends and colleagues and ask them to complete and to pass on to others as well. Whatever the outcome I commit to publishing the full results here for all to see once I have 300 respondents. Amidst all the rhetoric what are the feelings of the people? That question is often ignored. 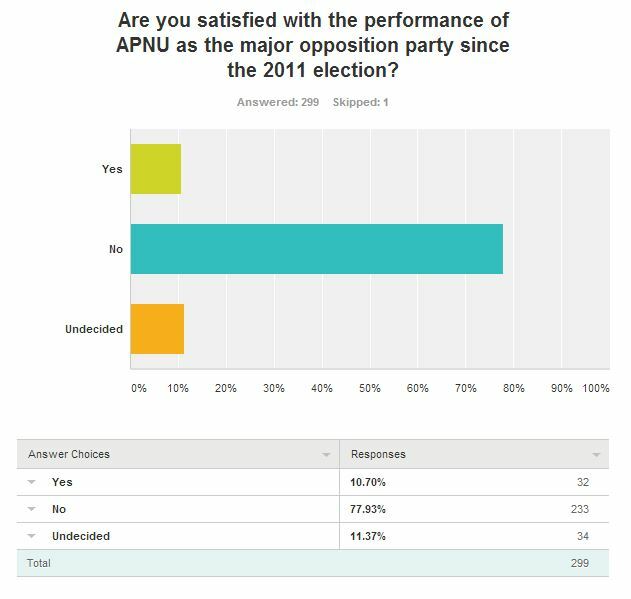 This is a 5 question vox pop which aims to gauge the political temperature in Guyana from the perspective of the people. It is completely anonymous and should only take 15-20 seconds of your time. Once there are 300 responses the full results will be published for all to see. Please take the survey and encourage others to do so as well. Yesterday, President Donald Ramotar and First Lady Deolatchmie Ramotar, were captured in what, in all likelihood, will be the most iconic photograph of them as First Couple. They stood alongside global symbols of elegance and class, United States President Barack Obama and First Lady Michelle Obama. For national leaders, the holy grail of posed photographs – the one with prominence of place on the presidential office wall – has been, for decades, being captured with the President of the United States of America. This has been exponentially multiplied since Mr. Obama ascended to the US presidency. It is for this explicit reason, and the mountain of requests, that the White House purposefully designated several hours of the Obamas schedule in New York for photo ops with world leaders attending the UN General Assembly. There ought to be recognition too, of the fact that this assignment to New York is the most high profile for the our First Lady since taking office. What was an historic photographic opportunity, and more importantly an incomparable public relations opportunity, not only for the Ramotars, but for Guyana as a whole was squandered and reduced to shame and regret by our First Lady’s choice in footwear. The photograph quickly went viral among Guyanese and the wider Caribbean last evening after being published by NCN. There have been numerous posts and comments from various Guyanese who have rebuked those who have expressed shock, derision and even outrage at the embarrassment brought upon Guyana by Mrs. Ramotar’s footwear. Their argument, to capture it succinctly, has been that this is a storm in a teacup and that as Mrs. Ramotar is a good, decent and humble woman she ought not to be harangued for what they see as a minor fashion faux pas. I submit that those who so contend are either suffering from extreme naivety or have a complete misunderstanding of the critical importance of image portrayal, specifically on the international stage. I particularly worry about politicians and members of government who express this view, as they, more than the average citizen, should possess an acute awareness of these matters. Perhaps it is an attempt to either ignore the broader framework within which this issue is to be examined or to divert attention away from the magnitude of the ramifications of the blunder. Guyana is a country which is still fighting a losing battle with an undesirable global image. Our country is still routinely, even in diplomatic circles, mistaken for Ghana. And of those who do recognize Guyana as a South American, and not African nation, the association is still largely of Jim Jones’s 1978 mass massacre. Add that Guyana is consistently mentioned alongside Haiti as the poorest nations in the Western Hemisphere. Guyana’s international image is a mostly negative one. Cartagena notwithstanding, this photo op with the Obamas, and the resultant public relations spin offs, was, effectively, the Ramotars photographic introduction on the global stage. It will, for years to come, remain among the most prominent images of them – perhaps the most prominent image. It is how a large number of global citizens will come to see and form images of them, Guyana and Guyanese. A nation is known to the world, and even thrives, through its most prominent personalities. Think Usain Bolt/Jamaica, Barack Obama/United States, Nelson Mandela/South Africa, Rihanna/Barbados, Brian Lara/Trinidad & Tobago. A country’s leader and their partner are at the forefront of representing their nation internationally. For millions across the world, it is through photographic and video representations of a country’s leader, that opinions are formed of a country and its people. The nation’s leader is, in the absence of Usain Bolt type figures, the foremost ambassador. His wife, often by his side, is effectively, second-in-command in this regard. This is not merely about a pair of gaudy shoes – it is about how our nation is presented, on the world stage, through its leader and his wife. For all the humility we know Mrs. Ramotar possesses, the image she portrayed to the world of herself and by extension Guyana, and more specifically Guyanese women, is one of a classless, inelegant, tacky dullard. Then there are those who have sought to make light of the shoes debacle, juxtaposing it with the importance of Mr. Ramotar’s speech to the General Assembly. 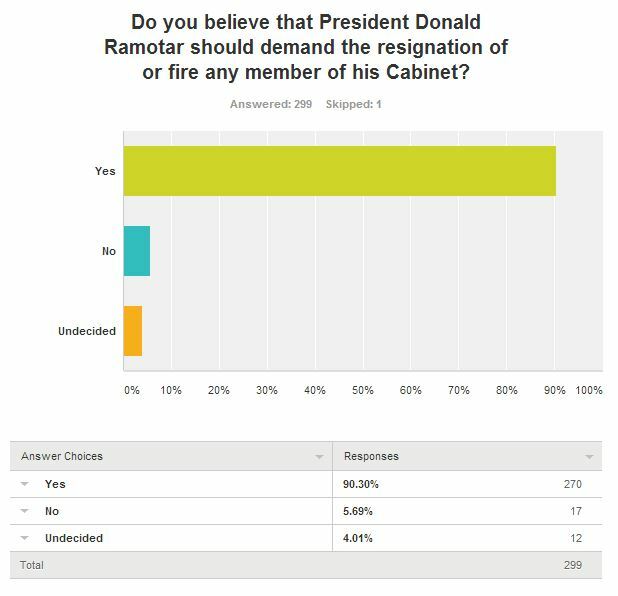 Mr. Ramotar’s speech may be widely broadcast in Guyana but will it make news or even be noticed in international media? Unlikely. For all the romanticism we may wish to ascribe to the importance of Mr. Ramotar’s speech in the wider global context its airtime will be negligible if even on the radar. The salient point therefore is that the Ramotars/Obamas photograph is and will remain a – perhaps the – highlight, moreso than whatever Mr. Ramotar manages to deliver tomorrow, of the Guyana presence at this UN General Assembly. Of all photos taken of the Guyanese First Couple, it is perhaps the photo which will be most shared and viewed internationally. The photograph is also now an official item in the White House Photographic Gallery (which is partially available here: http://www.flickr.com/photos/whitehouse). There is another contention that Mrs Ramotar did not ‘sign up’ for this level of scrutiny so as a result persons should go easy on her. That is either misguided or disingenuous – I believe the former more so than the latter. Mrs. Ramotar did not, from her position of acute influence, dissuade her husband from pursuing the presidency. She stood side-by-side with him and was prominently featured on the campaign platform. She is complicit and must take responsibility. The Office of First Lady is a constitutional office of the land. It is funded by taxpayers. Mrs. Ramotar has assumed this office and has executed some commendable initiatives locally. However she is obviously lacking a comprehensive understanding of her role and the consequences of her actions and choices. The fault cannot be laid entirely at her feet. The government as a whole must take greater responsibility. There was dereliction of duty by protocol and/or other responsible officers at the Office of the President, specifically those who are a part of the Guyana delegation in New York. They should have ensured that she is properly and suitably attired. It is part of their function and remit. The First Lady is no longer a low profile housewife or a private citizen. She is among the foremost ambassadors of this nation and by virtue of her own admission at her excitement to travel with her husband she has committed to representing this nation in the international arena. How she is presented is of utmost importance to the country. She will be, whether we like it or not, whether we accept it or not, a walking embodiment to those she interacts with and are viewed by, of Guyana, Guyanese and specifically Guyanese women. 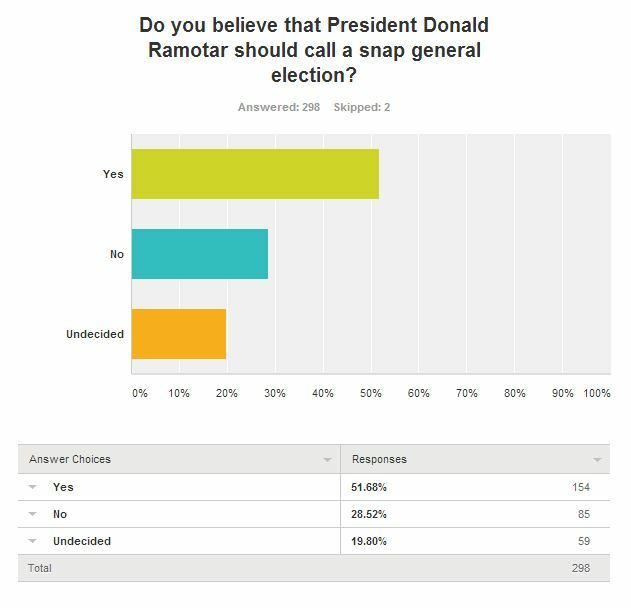 Opinions will be formed of our still little known nation based on President Ramotar’s and First Lady Deolatchmie’s appearances and representations. It is a fact of life with which we must contend. It is because of the significance of image that it is standard practice for foreign service officers to receive clothing allowances. It is for similar reasons that image consultancy is a thriving global industry. And ‘dress for success’ is not oft repeated for no good reason. We should recall too that this is not the first time this has occurred. Former President Bharrat Jagdeo had also come under fire, mainly from Stabroek News, for his poor choice of attire on a diplomatic undertaking in South America. After responding with characteristic anger the then President took action and upgraded his wardrobe. In the latter stages of his presidency, for all his other shortcomings, he could not be accused, especially when on international duty, of presenting himself – by attire – in poor taste. So to assert that we should simply turn a blind eye to as basic an issue as the appearance of our First Family is to submit to what is colloquially described as a ‘dunkaydam’ (don’t-care-damn) mentality. It is a subscription to this sort fo mediocrity which has enveloped and stagnated Guyana. It is symptomatic of what is wrong with Guyana at its very core. It is this attitude, mindset and disposition to make excuses for and excuse shortcomings which contribute to how Guyanese are viewed and treated at international ports of entry. It is this attitude, mindset and disposition which allow our embassies and consulates to be humiliations to our people and the nation. As a pertinent example one of our consulates is located in a cluttered, unsightly room between a seamstress’ shop and a low class nail salon. To ignore or diminish the wider context of Mrs. Ramotar’s shoe choice is to demonstrate a profound misunderstanding of that which is of no insignificant value to a nation losing the fight to establish a positive image of itself on the global stage. It is inconceivable how, in a civilized and even half-democratic society, a Commissioner of Police can make the comments made by our own Acting Commissioner of Police Mr. Leroy Brummell and retain his job. But this, as they say, is Guyana. Commissioner Brummell is no low level law enforcement officer. He is the Chief Executive Officer, as it were, of the Guyana Police Force. He is responsible for its management and the execution of its sacred duties to protect the citizens of this country regardless of whether they are under attack in their homes, walking the streets or peacefully assembled in protest of what they view as unjust. Commissioner Brummell has, in no ambiguous terms, declared to the nation that protestors will be met with “blows”. It is a bold cold-blooded declaration of the pre-meditated intent of the Guyana Police Force in treating with protestors. Worse it must be viewed as incriminatory in light of the massacre, by shots through the heart, of three innocent and peaceful protestors in Linden by members of the Guyana Police Force in Linden on July 18th. Lest we forget over twenty other Lindeners were wounded by shots of various kinds about their bodies. The newspaper have been littered with the stories of the Guyana Police Force acting as judge, jury and executioner while their own accounts of incidents and those of eyewitnesses almost always are at stark variance. There has been no national outrage or condemnation towards the comments of the Commissioner and the officer himself for making them. It should not matter that the Commissioner’s comments came as a response to a reckless call by WPA executive David Hinds. The Commissioner’s declaration in and of itself threatens the people that should they think of engaging in their constitutional right to protest they must be aware that they will be met with force, bullets and blows. The police force’s own actions in violating protestors, the administrations indifference towards violence meted out to protestors and the Commissioner’s declaration of premeditated intent to exact ‘blows’, serve to instruct Guyanese that as far as the regime and the law enforcement agency is concerned, protest action is not just to be frown upon but not to be tolerated in any form whatsoever. What the Commissioner has also alerted the nation to is that there is in fact, as long suspected, a policy (perhaps unwritten) of selective application of the law. And those who protest, as is their supposed right, ought to now know how the law will be applied to them. How the Commissioner, following his statements can continue to enjoy the confidence of the people of this nation whom it is his sworn duty to serve and protect, I do not know. And wither the constitution and whatever rights are therein enshrined. I am unequivocal in my condemnation of the Working People’s Alliance/A Partnership for National Unity’s David Hinds’ call for the digging up/ blocking of the East Coast Highway by Buxtonians in support of the Linden Struggle. Given Hinds’ professional engagement I expected a more judicious and discerning reading of the present mood of Guyana. I view Brother Hinds’ call as overventuresome and ill-conceived. This is especially so now that the August 17th Agreement has been initialled and likely to be signed by the two parties. Privately I had advocated, immediately following the July 18th massacre of Lindeners by police, that the struggle should take the form of Lindeners peacefully slow travelling to Georgetown, and peacefully occupying the Square of the Revolution and outside Office of the President until their demands were met. I concede now, that such action, had it been undertaken, would have diluted the Linden Struggle. What transpired, of Lindeners locating their struggle in Linden, was a more effective course of action which has forced the government to formally yield to their demands as we have seen with the August 17th Agreement. I can understand, in the face of the executive abuse of Guyana, Hinds’ anxiety to see the removal of the unjust PPP regime and thus the nationalizing of the struggle. I understand too Hinds’ expressed disappointment with the rest of Guyana not taking to the streets in standing in solidarity with Linden. Political action, revolution and change though often come in stages and piecemeal and not always as a flood of overnight transformation. It is part of the process. If Buxtonians are of the conviction that they, as a community, continue (we know they have been subjected to) to be maligned and discriminated against then they have every right to do as Linden did and protest as they are allowed to constitutionally. Buxtonians have demonstrated that when they reach that stage they will take the actions they deem necessary and they need not academics or scholars to issue calls to them to act. Further Hinds’ proposal in all likelihood will only allow for regression in the national struggle for change from the PPP regime. The blocking of the East Coast Highway at this time will allow the legendary PPP propaganda machinery to heighten its effectiveness by sending their divisive messages of fear to their base in an effort to galvanize their support based on emotion above reason. Hinds fails to appreciate too that events of the 2002-2008 crime wave are too fresh in the psyche of the nation and any action by Buxton such as proposed by him stands to quickly alienate the Indo-Guyanese community who demonstrated in no insignificant way on November 28th that they too are in strong disapproval of the regime’s handling of the republic. Gains of unparallelled proportions have been made within the last year especially, opposition political leaders must be astute and shrewd in protecting these and ensuring that these are not squandered. It will also allow the regime to float the ‘anarchy line’ as cover for the more violent and fatal action by agents of the state which will lead to the death and violation of our brothers and sisters. We know of the regime’s approval of the use of deadly force in response to even peaceful protests. That Hinds’ call has not gained traction speaks for itself. 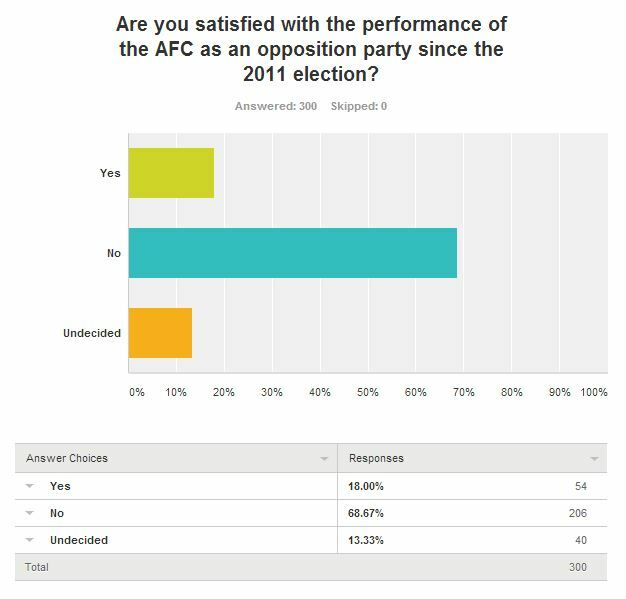 What I believe Hinds and other senior leaders of APNU and also the leaders of AFC should be undividedly committed to is the matter of constitutional reform which will allow for a change of government by the ballot box when elections are next called. 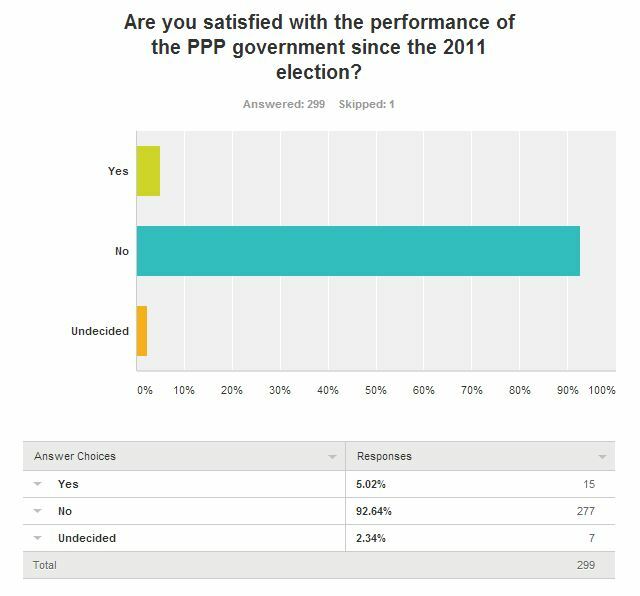 The PPP is comfortable with the current system which allows that party a minority of the total vote but 100% of the executive power. There must be constitutional reform and there, above all else, is where the combined political energies ought to be focussed. Nevertheless it has been made and has been placed on public record. It is more a heritage of lawlessness, social injustice and arbitrariness which has been evident in the recent tragedy in Linden. Only time will permit a more objective discussion on the incidents in Linden, at this stage the Guyana Bar Association seeks to remind the public of the importance of the Rule of Law in our interaction with each other and with the Police Force. Finger pointing will continue; it is a political necessity. But if the Rule of Law had been observed by all participants, there would have been and would be no tragedy. Article 40 of the Constitution provides that “Every person in Guyana is entitled to… (c) freedom of conscience, of expression and of assembly and association…. This right is not carte blanche permission to congregate and disrupt. It is sometimes necessary to obtain a permit to stage a public protest. In addition, the protest must at no time cause a public nuisance, private trespass, or obstruction of public highways. It is not relevant whether the protest is just; an unjust cause is equally entitled to the constitutional right to express itself. But the voice of that expression must not interfere with rights of others by trespassing, obstructing or causing nuisance. If the protest crosses that line, there is a breakdown in the rule of law. These exceptions do not provide carte blanche license to kill. There must be what the legal scholars call proportionality. If there is an immediate threat to life, or an immediate danger of escalation to widespread violence, deadly force may become necessary. But this deadly force must be the only available means of accomplishing the permitted goal; it must be necessary. The use of lethal force by the State is to be avoided and when resorted to, regretted. In Fundamental Rights in Commonwealth Caribbean Constitutions, Demerieux states “A high incidence of police killings in any society must indicate a problem in the political system and thereafter, one in the system of law and order. For whatever the circumstances of these or indeed ‘private’ killings, the creation and execution of law and order policies is itself part of the business of the political system and of the government at any given time. When citizens are harmed by a public breakdown in the Rule of Law, the authorities have an obligation to ensure that due enquiry is made into the circumstances in a timely manner. When the State fails to act on that obligation, it encourages the decline of the rule of law – the root of its authority to govern the people. The law provides procedures where lethal force has possibly been used by an arm of the State for an immediate investigation to explore publicly the circumstances. The Guyana Bar Association therefore lends its voice to the demands for immediate inquiry into the circumstances which caused injury and loss of life on 18th July 2012. The rule of law is an essential tenet in a peaceful and democratic country and the citizens of our country. As Hobbes observed four hundred years ago, when the Rule of Law breaks down, life becomes nasty, brutish and short.